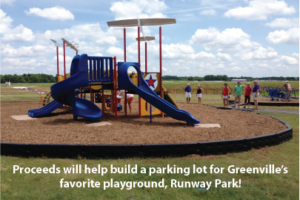 Help raise money for the community aviation themed park! Please donate money today. Register today for the Forth annual Take Flight 5k to raise money for a community aviation themed park. Run or walk where no race was held before! Down a Greenville Downtown Airport runway. Participants of all ages will taxi to the runway to be cleared for takeoff. Join us for Take Flight 5k – 2019.